Caution! Cars get hot FAST in the summer sun. Cars get hot FAST in the summer sun! 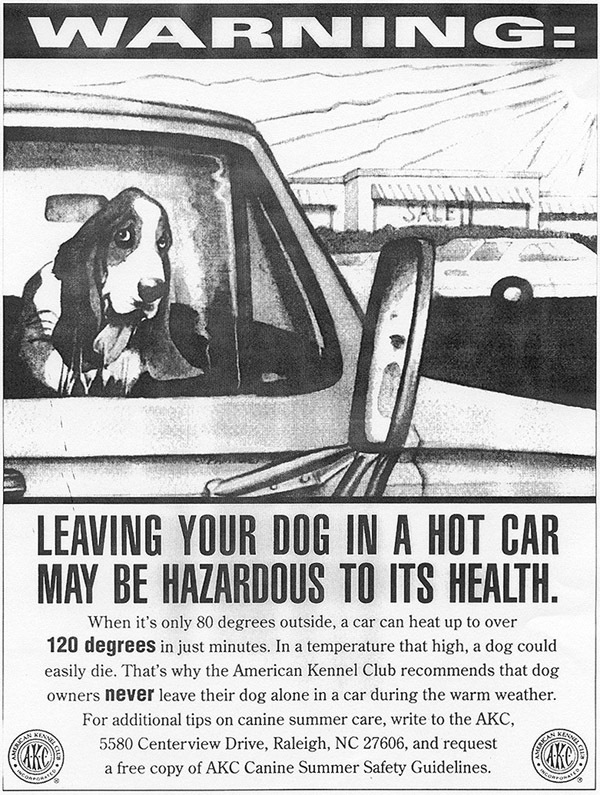 This is the poster that the AKC offers, hoping that people can be educated to not leave dogs inside cars during the hot summer months. So, please, copy and have a few in your car in case you have occasion to "share" and enlighten! Highlight the poster, and right click for the menu to copy or print.